This 15-piece set is even more bloated than the man himself. In a good way! Prepare to OD on suspense, glamorous blondes, and mommy issues. 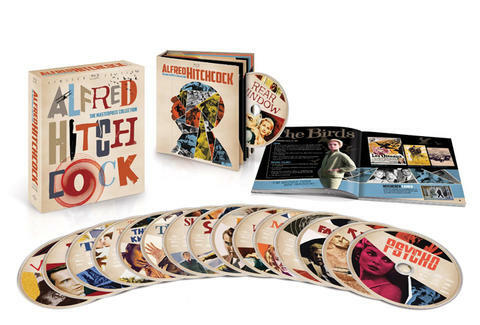 For the serious Alfred Hitchcock fans who just won’t mess around with a two-disc of Rear Window comes the Masterpiece Collection. In addition to including movies ranging from Psycho to Shadow of a Doubt, this collection boasts all the screen tests, newsreels, and storyboards your creepy little heart could desire. And for the shameless snobs, there’s even Hitch’s interviews with Francois Truffaut, whose name is crazy fun to say in a Midwestern accent.